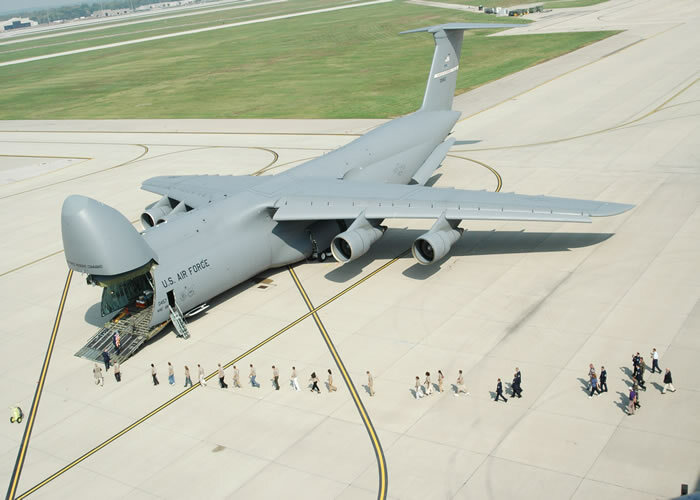 C-5 Mission - The gigantic C-5 Galaxy, with its tremendous payload capability, provides the Air Mobility Command intertheater airlift in support of United States national defense. 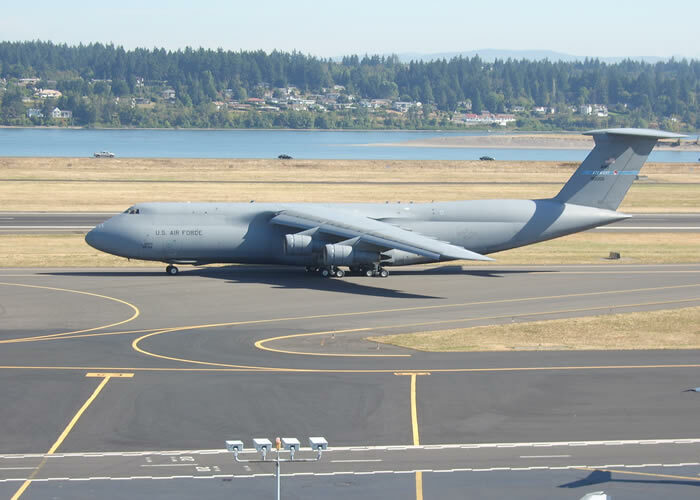 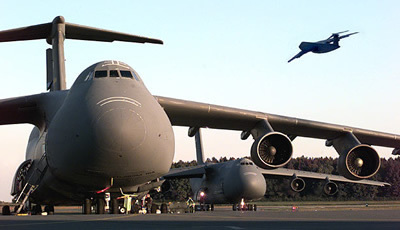 The C-5, the C-17 Globemaster III and the C-141 Starlifter are partners of AMC's strategic airlift concept. 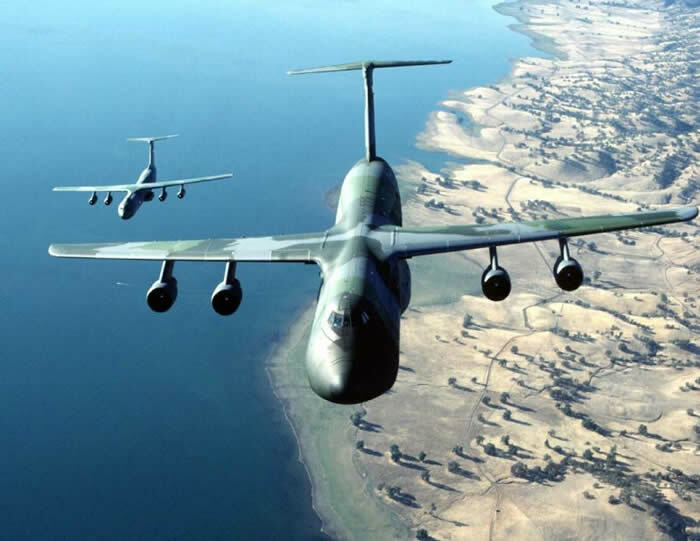 The aircraft carry fully equipped combat-ready military units to any point in the world on short notice then provide field support required to help sustain the fighting force. 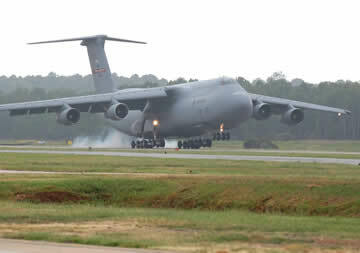 Based on a recent study showing 80 percent of the C-5 airframe service life remaining, AMC began an aggressive program to modernize the C-5. 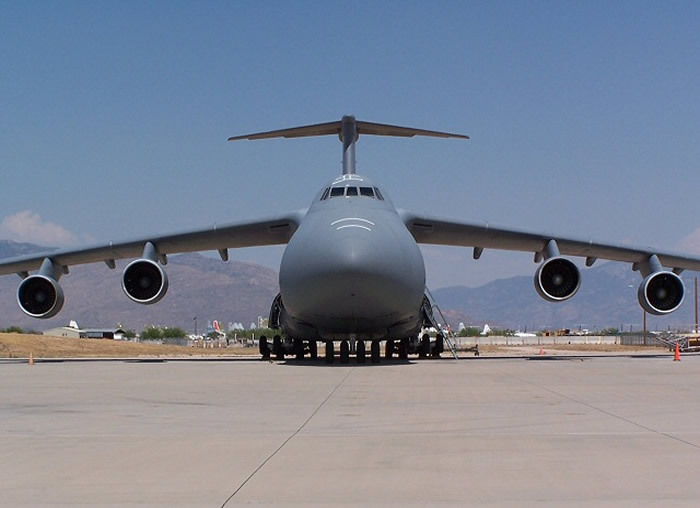 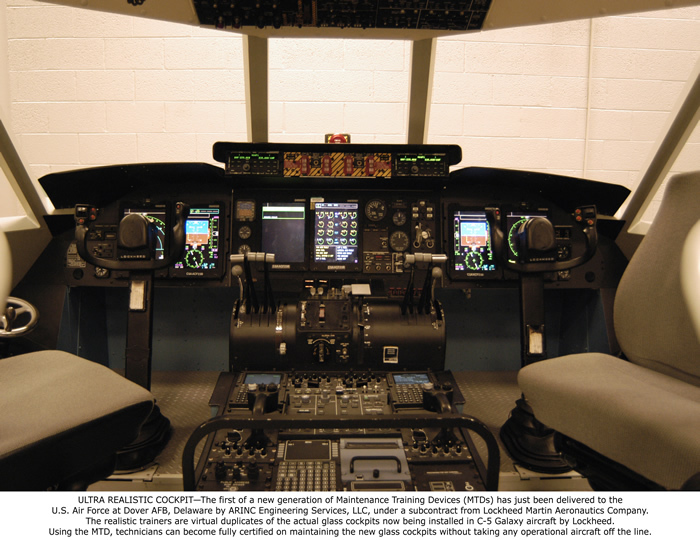 The C-5 Avionics Modernization Program began in 1998 and includes upgrading avionics to Global Air Traffic Management compliance, improving navigation and safety equipment, and installing a new autopilot system. 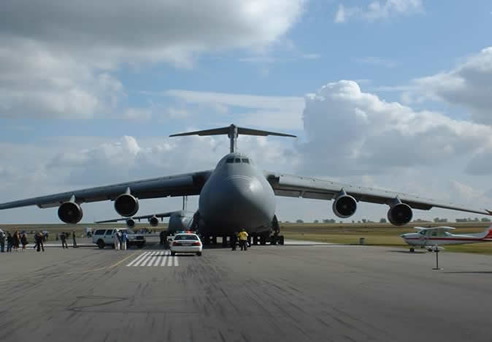 Another part of the plan is a comprehensive re-engining and reliability improvement program, which includes new engines, pylons and auxiliary power units, with upgrades to aircraft skin and frame, landing gear and the pressurization system. 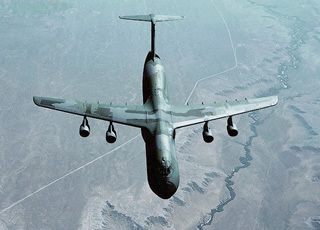 This modernization program will restore aircraft reliability and maintainability, maintain structural and system integrity, reduce cost of ownership and increase operational capability well into the 21st century.